Anyone here buy one of these? Looks interesting to me, not sure if it can be converted to a laser diode instead of a LED, but looking at it. 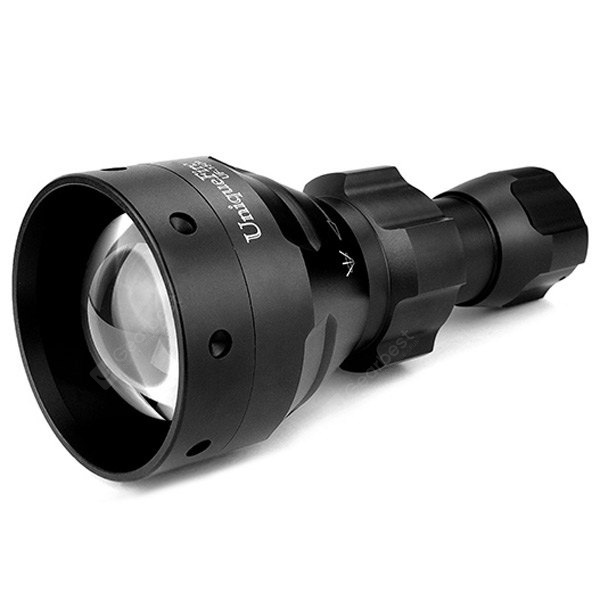 Heh, 900 lumens of 850nm, huh? I think you'd need a couple megawatts for that to happen. Google says osram black is 1W of IR output for 1A input, and the beam profile of an LED is vastly superior to the beam profile of your typical 808nm diode (of which the "dot" looks like a stack of bars). That large lens should make for a great throw, so I don't see the need for "upgrading" to laser in the first place. LEDs are much safer and far more robust than lasers anyway. I failed to mention my intent; although it is a IR illuminator/flashlight, I was looking to use it differently as a host for a single mode laser diode as a uber low divergence laser through allowing the raw output of the beam to expand to over 50mm before collimation. This lens probably won't work well, I could replace it with a large PCX lens instead. I didn't pay any attention to the lumens, zero lumens to my eyes and not much interested in the IR function. 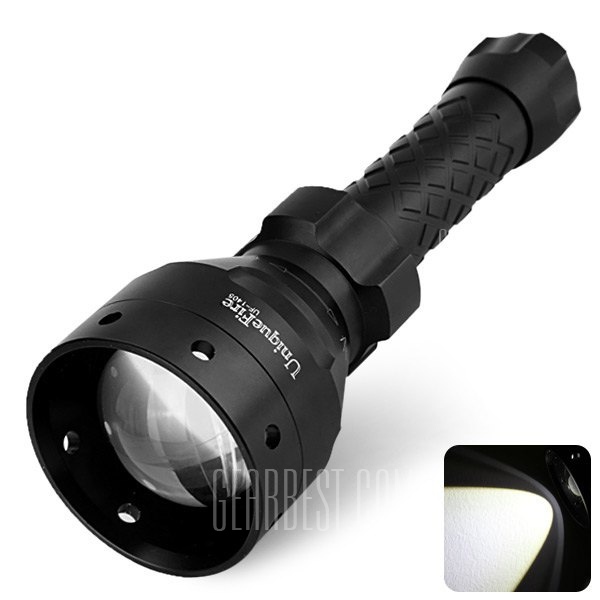 I can't ever believe them anyway, from all of the real world measurements I've seen made for flashlights from China, they always differ by huge amounts from what they advertise. Saying their flashlights have 2X more than they really do isn't unusual, often worse. uniquefire 1504 - search result, Shenzhen Homesafety Electronic Co., Ltd. Does anyone know how the focus works? Does the whole pill inside slide in and out while the lens remains fixed? It appears to work that way from the photo's, and seeing you can buy the pill with the diode mounted on it separately from another seller. the focus works by unscrewing the top of the head. the head screws up and down and you can focus your beam that way. the pill is stationary. Still haven't been able to find a source to buy just one of those uniquefire 1504's. only difference between the two(if I am not mistaken is the amount of batteries it will hold. for an IR version, you would probably need to go to Aliexpress to get one. Just want the unit as a host, thanks... my googling missed it. you can buy a host for the 1504 and it comes with a brass pill. Thanks, but I need the pill to mount the laser diode in, the page says no contents inside, just the tube. Did you buy one and know what it has? Also, their page doesn't tell me if the lens is in the assembly or not, every photo is from such an angle you can't see. +Rep to you for helping. Thank you. The add is a misprint, they are in the pricess of fixing it, you get everything in the picture for a host, you just do not get the driver and LED and mcpcb. Hope it doesn't take a month to get it as some buyers are reporting, I can get one direct from China in that amount of time or less, but this price is much better than on either ebay or aliexpress for the visible light model of the same thing. It is a toss up with Gearbest, i have had things get to my door in 7 days and some take 25 days. When clicking on the link I provided to GearBest here in the forum it first flashes to ShareSale and then to GearBest... Hummm..... any idea what's that about? Makes me nervous to see that. it is just a redirect that gearbest goes through. nothing to be worried about.